A sinus lift is a surgical procedure carried out by an oral surgeon to increase the amount of bone in the posterior maxillae (upper jaw) A sinus lift may be required when implants are to be placed in the areas where there is not sufficient bone for implants to be placed. 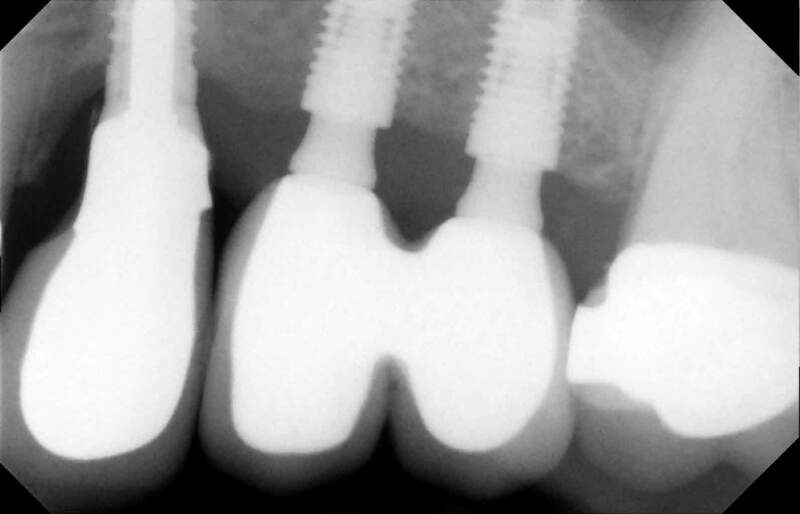 Implants need a minimum amount of bone in order to be properly anchored. 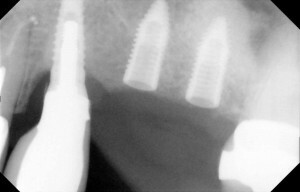 Dental implants are small titanium screws that are placed into bone to support dental crowns, dental bridges or dentures. Below we can see a sequence of radiographs of a sinus lift surgical case. Why is a sinus lift needed ? It is very common to find that the bone in the upper jaw is usually softer than in the lower jaw. The type of bone that we find the posterior regions of the upper jaw can be limited. This reduction of bone results after having natural teeth extracted. The maxillary sinus which is usually found directly above the posterior molars will increase in size when the natural molars are removed. In addition to the sinus increasing in size the bony ridge will also resorb slightly. 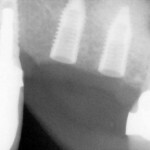 In many cases this reduction in bone volume may result insufficient bone being available for implants to be placed. A sinus lift is therefore needed in order to increase the amount of bone for implants to be placed. Two techniques for sinus lift procedure. The lateral window technique. A small window is created on the lateral wall of the maxillary sinus. The sinus membrane is carefully elevated and some particulate bone ( usually artificial bone ) is deposited into the sinus. Crestal approach ( internal sinus lift ). 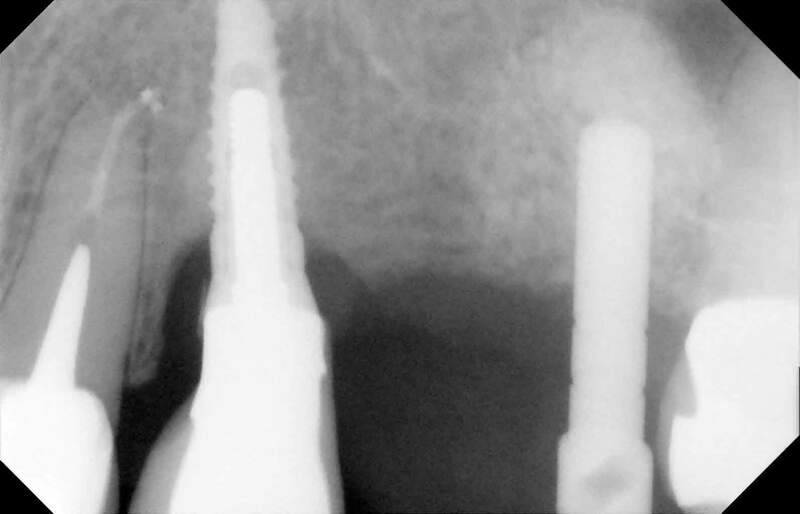 A small hole is prepared which the implant will be placed into. Before placing the implant a careful sequence of drills are used in order to prepare the implant ‘hole’ to act as the window in order for artificial bone to be introduce into. How do you know if you need a sinus lift? 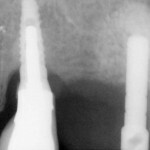 The surgeon doing the procedure will carry out a detailed examination prior to placing dental implants. 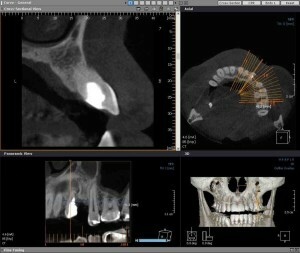 CT scans can be used to check the exact volume of bone prior to placing implants. CT image below showing ability to view anatomy in 3 dimensions. What are the possible complications of a sinus lift? How long does it take for the sinus lift to heal? A minimum of 6 months is usually required for adequate healing, although longer healing times of 9 months have shown to provide better results. If the sinus is larger than average, then a greater amount of bone graft material will be needed. Larger grafts take longer to heal. What to do after sinus surgery? As with all surgery it is recommended to rest and restrain from active sport for at least 2 weeks. Sinus surgery is a delicate procedure and it is advisable to keep the head horizontal and avoid bending over or to the side. This movement could interfere with the bone graft material which was introduced into the sinus during the surgery. It is not uncommon to have bleeding from the mouth or nose soon after the surgery. This is usually as a result of the surgery itself or due to fluid drainage from the sinus. Avoid smoking. The risk of infection is far greater in smokers. (If the sinus lift surgery/bone graft should fail then the graft material will need to be removed and the infection cleaned. The surgeon will provide pain relief medication and antibiotics to prevent any infections. Some nasal sprays and anti-allergy medications are also prescribed to reduce chances of nasal congestion. Blowing your nose should be avoided. The increase in pressure could result in the graft being detached from the sinus floor. 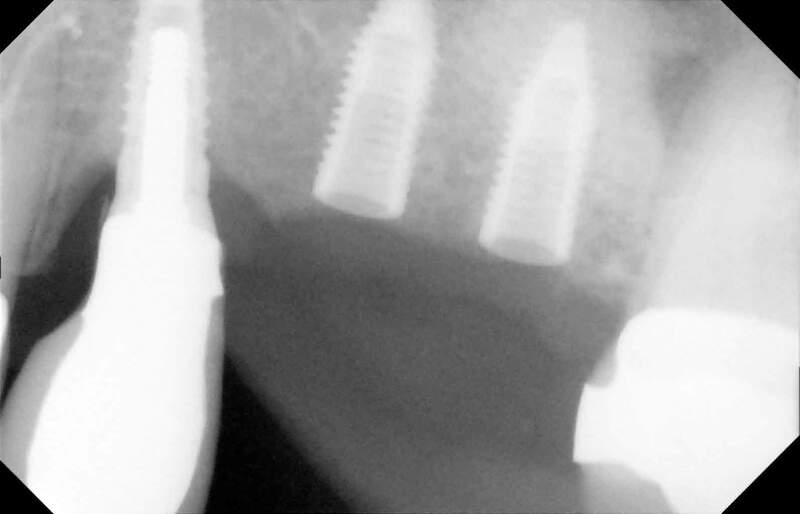 Research has shown that dental implants are more successful in those cases where implants were placed in grafted sinuses when compared to non-grafted sinuses. The sinus lift allows the surgeons to increase the amount and quality of available bone in the posterior upper jaw. A sinus lift allows for the placement of longer implants, which are able to provide greater stability. Brighton Implant Clinic is a group of three clinics which provide dental implant solutions for patients with missing teeth. 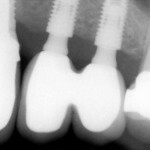 Our surgeons have experience in all aspects of dental implantology. For further information please feel free to contact us.